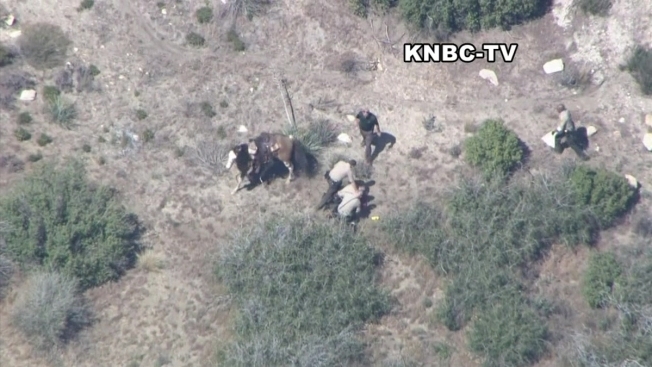 The FBI is carrying out a civil rights investigation after a suspect was beaten by deputies following a horseback pursuit in the high desert northeast of Los Angeles Thursday. 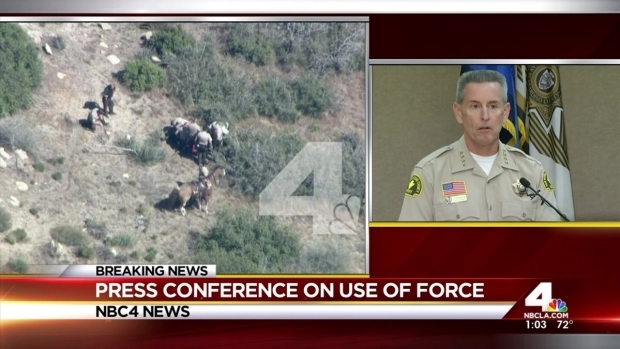 NBC4's chopper was rolling overhead when it captured the beating of 30-year-old Apple Valley resident Francis Jared Pusok, where up to 10 deputies appeared to punch and kick him repeatedly for two minutes. The move comes after 10 San Bernardino County Sheriff’s Department deputies were placed on paid administrative leave Friday pending an internal investigation into the beating. "The FBI has initiated an investigation to determine whether civil rights were violated during a pursuit and altercation involving Francis Pusok and San Bernardino County Sheriff’s deputies on April 9, 2015," FBI spokeswoman Laura Eimiller said. The results of the review will be sent to the United States Attorney’s Office, as well as the Department of Justice's Civil Rights Division to determine if a prosecution or further investigation is warranted. The FBI investigation will not interfere with the probe currently being carried out by the Sheriff’s Department. Sheriff John McMahon ordered an immediate internal investigation Thursday into the arrest. "I'm not sure if there was a struggle with the suspect," McMahon said at the time. "It appears there was in the early parts of the video. What happens afterwards, I'm not sure of but we will investigate it thoroughly." McMahon asked for the public's patience during the investigation.